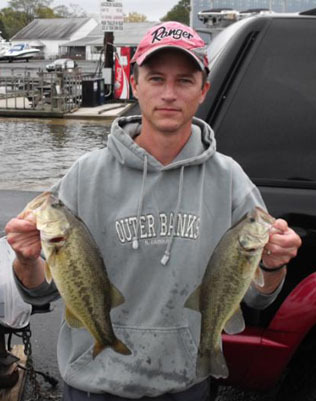 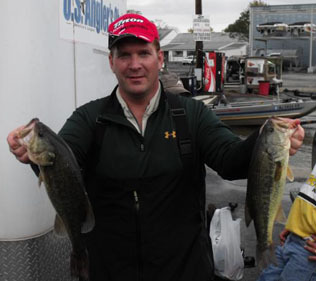 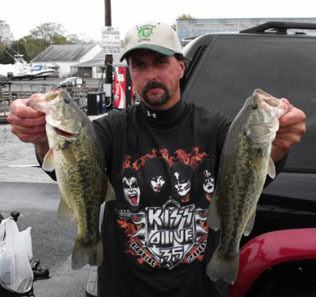 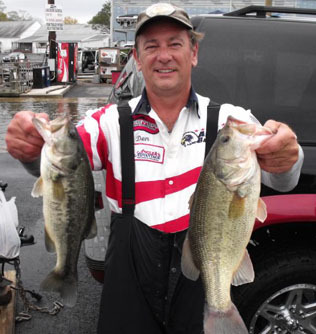 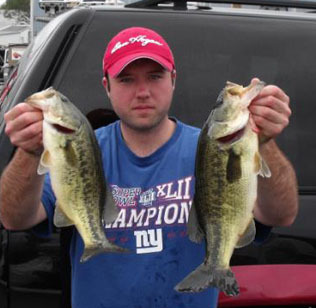 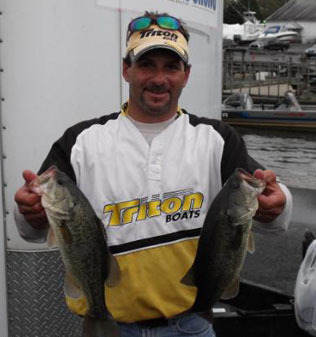 From Division 9 in Eastern Pennsylvania October 24, 2009, Matt Padden from Glenolden, PA., is one step closer to the ABA National Championship with a 1st Place win and $373.00 in the American Fishing Tour bass tournament held on the North East River this past weekend. 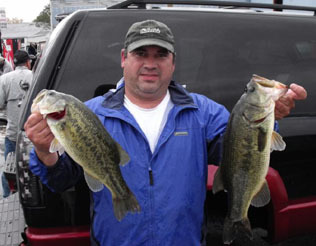 Matt had a 5 bass limit that weighed in at 13.20 pounds. 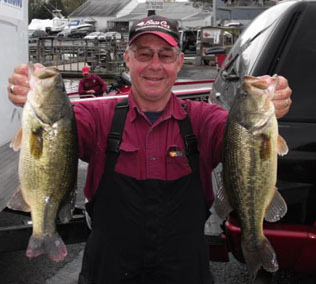 Second place went to Wayne Alker with a weight of 12.23 pounds; third place was Den Budzitowski with a weight of 10.62 pounds. 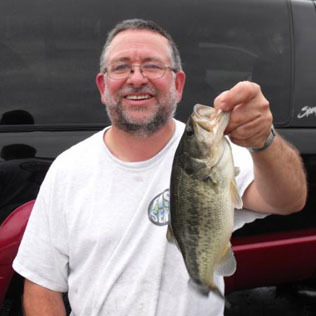 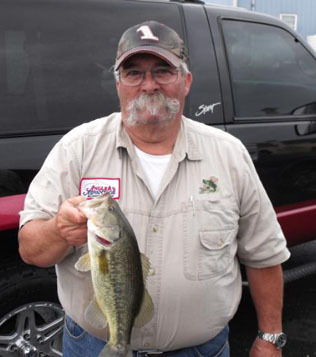 Big bass was awarded to Steve Patrick for catching a 4.06 pound large mouth. 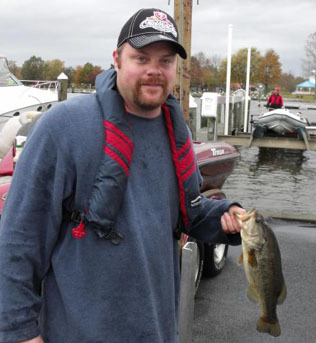 The weather forcast was horrible but we still had 15 brave anglers turn out. 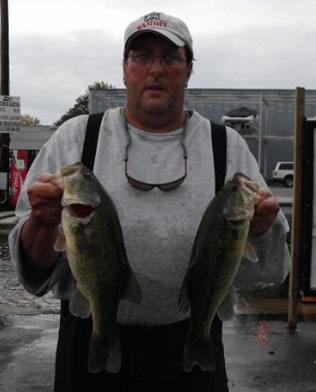 Rain or overcast all day, calm winds in the early morning gave way to steady 15 mph winds out of the south which made for a wet bumpy ride. 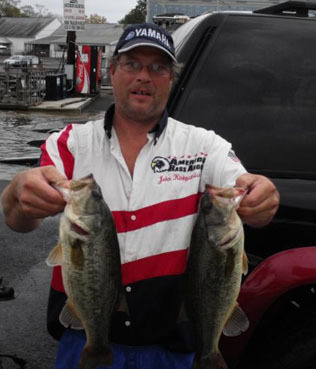 Water temps around 58, and a dropping tide in the morning. 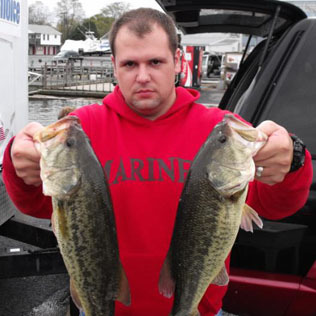 Matt got his limit fishing spinnerbaits over grass during the dropping tide in the morning once the tide turned the bite dropped way off.